A REAL PRACTICE FOR A REAL you. 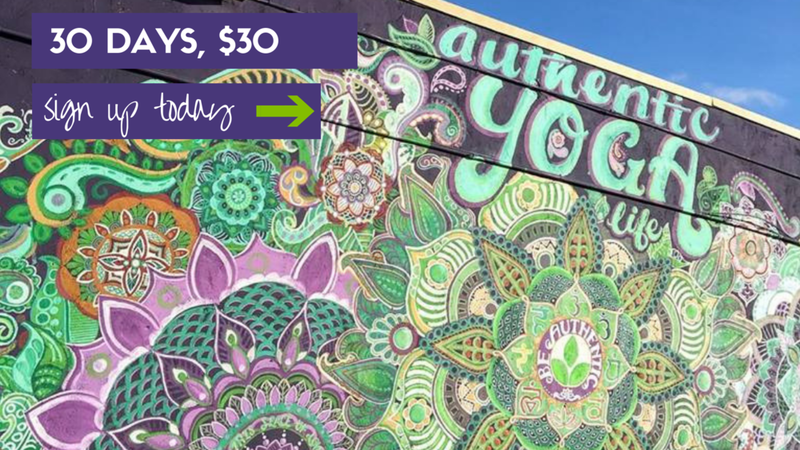 Welcome to Authentic Yoga Life, where it is our privilege to empower and inspire students to become their authentic selves through power yoga and personal growth programs. Our approach to power yoga is based on the teachings of Baron Baptiste's Power Vinyasa Yoga. This practice is designed for every person and every body. Our studio is "Green" and Energy Efficient. Wondering why we use infrared heating panels? Learn more here! Interested in becoming a yoga teacher? Learn more about our Yoga Teacher Training in Denton here. Where are you on your yoga journey? Sign up to receive Valerie's "Top 3 Change-Your-Life Questions Tipsheet" and a FREE 15-min yoga consulting session with her! Click HERE to get the tip-sheet and schedule your FREE 15-min coaching session with Valerie! The most important part of my AYL experience has been how comfortable I feel walking though that door. It doesn’t matter if it is your first time or 200th time, they always are so welcoming and push you to do your best.